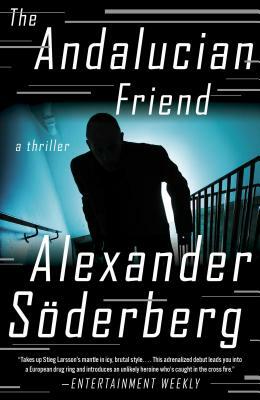 The Andalucian Friend brings us yet another great Scandinavian mystery. Set is Sweden and Mallorca this story is incredibly cinematic; beginning with a car chase and never letting up as it propels the reader through a landscape where the good guys and the bad guys are never what they seem. This is the first of a trilogy and I can't wait for the second installment. A Monumental International Crime Thriller That Brad Thor Calls "The Girl with the Dragon Tattoo meets The Sopranos." Hector Guzman has fooled many women. With his quiet charm, easy smile, and smooth demeanor it's easy to fall into his trap, and Sophie Brinkmann, a widowed single mother, is no exception. She quickly learns, though, that his sleek façade masks something sinister. Guzman is the head of a powerful international crime ring with a reach into drugs and weaponry that extends from Europe to South America. His interests are under siege by a ruthless German syndicate who will stop at nothing to stake its claim. But the Guzmans are a family of fighters and will wage war to protect what’s rightfully theirs. When Sophie is unwittingly caught in the crossfire, she must summon everything within her to navigate the intricate web of moral ambiguity, deadly obsession, and craven gamesmanship. ALEXANDER SÖDERBERG has worked as a television screenwriter and lives in the countryside in the south of Sweden with his wife and children. The Andalucian Friend is his first novel. "This gripping crime novel, the first in a trilogy, deserves to stand completely on its own... a multistranded plot that holds together as exquisitely as finely wound silk. But, as with the Larsson trilogy, it’s the woman at the center who sparks the engine."